"I began volunteering with The Country Trust in May 2010 as I believe in the charity’s aims and values and feel it is important to invest in young people today, as they can make a difference tomorrow. 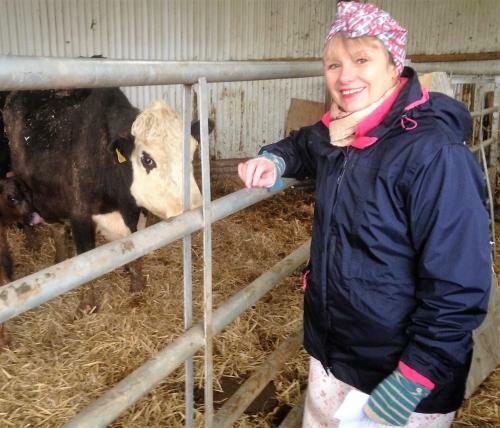 Currently I help Farm Discovery Co-ordinator, Cathy Evans on day visits to farms and the countryside in Staffordshire and Shropshire. My experience as a Country Trust volunteer has been extremely positive and I’ve been given appropriate levels of support and training in all aspects of the work I do. I really enjoy volunteering, particularly working with children from diverse backgrounds, some of whom have never seen a farm or experienced country life before. I feel the work I do has enriched my own life too; being able to open children’s eyes to the rich and wonderful heritage that our countryside can offer is reward in itself. Volunteering has helped me to gain confidence and belief in myself. Initially, I thought that this kind of work would be too daunting but with experience and guidance my own self-confidence, knowledge and abilities have increased beyond my expectation. The children I accompany enjoy meeting the animals as well as the “hands on” experience of doing things they would not normally do. They respond well to learning subjects they would have otherwise only been taught about in a classroom. I believe being able to see and touch things is by far the best way to learn and hopefully this will lead to a greater appreciation and respect for the countryside and farms. I feel that our farm hosts get a great deal of personal satisfaction in helping children, particularly those from disadvantaged backgrounds, to understand and appreciate our countryside. Many farmers enjoy the inquisitive questions and the innocence in which they are asked." Our photo shows Linda dressed as a 1940’s housewife, for her role as a hostess for evacuees during one of our WW2 themed events!